Dehradun: The Health officials in Uttarakhand informed on Thursday that 11 people in the state died of swine flu in less than a month. The doctors in the state informed that most of the cases had been reported from Dehradun and Haridwar, but few people have also been effected in the districts of Uttarkashi and Rudraprayag. The first case was reported in January after which almost one death related to swine flu is being reported after every two days in the state. 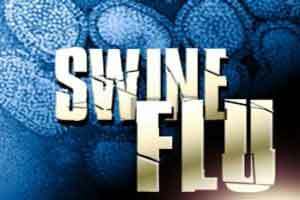 On Wednesday, in a private hospital at Dehradun 1 year child has been reported to be dead after being effected with Swine Flu virus. The alert has been send to the places located on hills. “HIN1 is like a seasonal influenza which can be cured just like cold,” Dr Pant further informed. However, Dr Pant said in case the patient is affected with weak immune system as in the case of old age or infants or diabetes, then the condition may get worse. For the laboratory tests, a total of 95 samples have been sent to New Delhi. Presently, 95 samples have been sent for laboratory tests to New Delhi. Till now, nearly 25 cases have been tested positive, of which 11 people are still admitted in various hospitals in Uttarakhand. The officials informed that Three others who were infected with the virus have been discharged after being treatment. “We are fully prepared to deal with the situation. There are a total of 176 isolation beds in different hospitals in the state where patients with the swine flu symptoms can be admitted without delay. Also, we have enough stock of medicines,” Dr Pant said.